President Donald Trump has ordered all flags across the United States and its Territories to be flown at half-staff as Americas mourn the devastating Texas Church attack on Sunday. 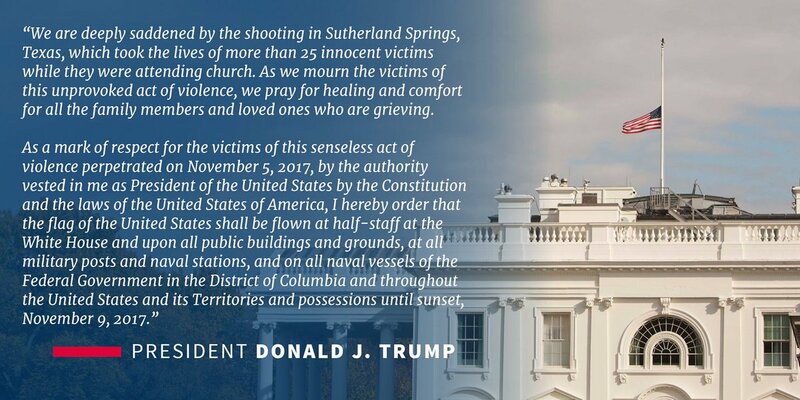 The President also urge all to continue to pray for healing and comfort. A 26-year-old gunman identified as Devin Patrick Kelley opened fire inside First Baptist Church in Sutherland Springs, Texas, killing 26 people and wounding 20 others on Sunday.